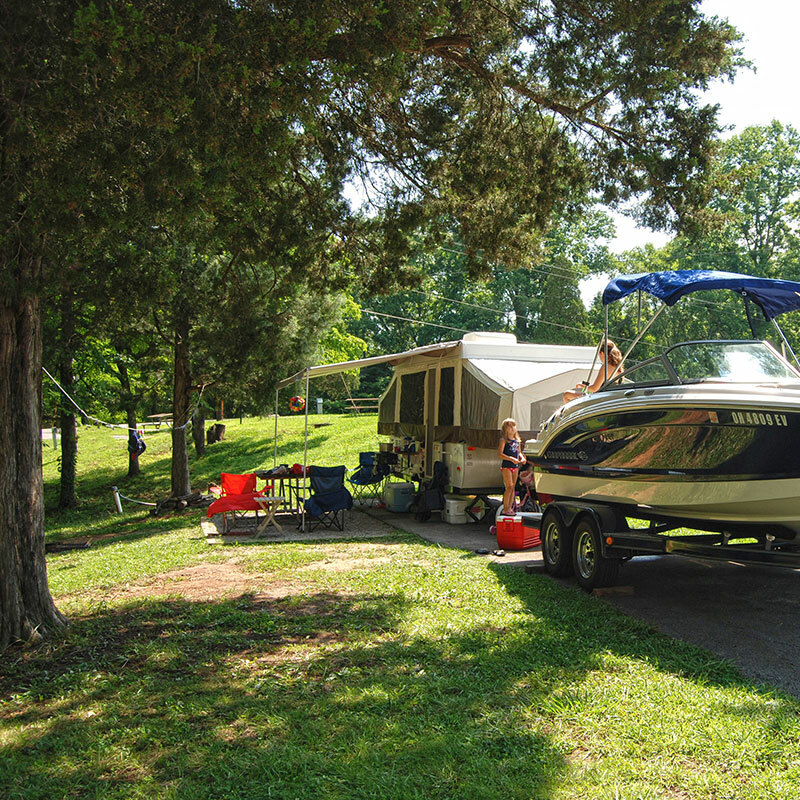 Roll up in your RV or pitch your tent for an excellent outdoor adventure on Lake Cumberland. The park is located in western Pulaski County and includes hundreds of acres on the banks of Lake Cumberland’s Fishing Creek. Sites have electric and water hookups, waste station and picnic areas. There are also seven shelters for entertaining, a playground and hiking trails. Disc golf also available. 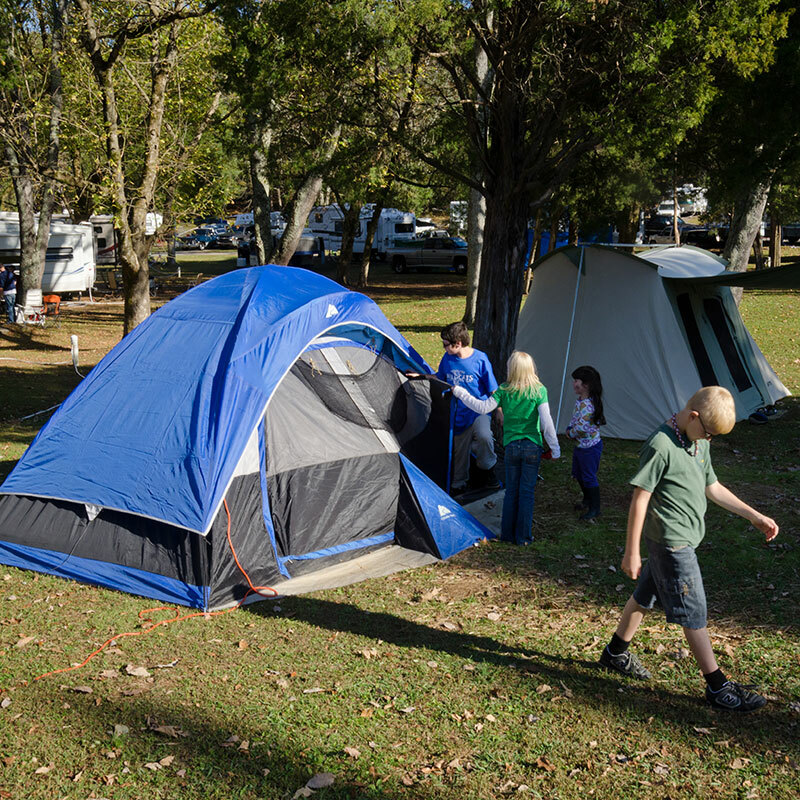 Long-term monthly camping rates are available. April 1 to October 31. Our brand new RV campsite features the latest RV amenities. 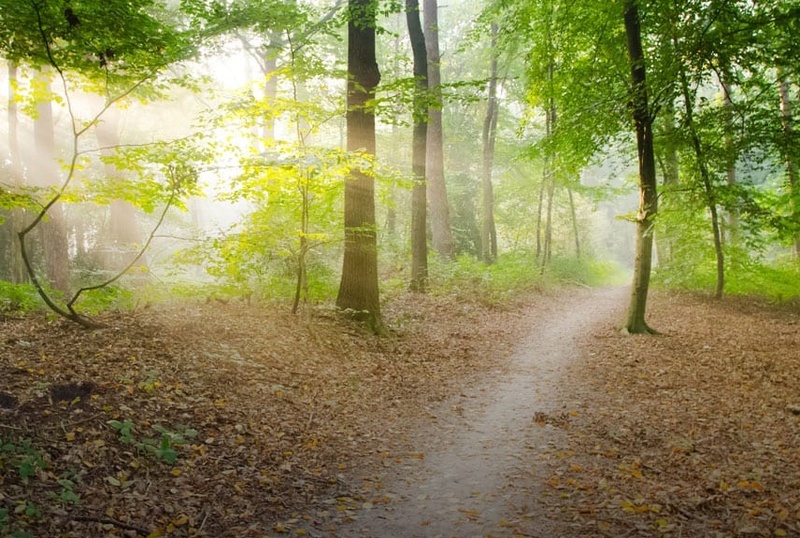 We have 16 RV spots with electricity, septic systems and water and trash. They feature new level spots and pull through sites for RVs up to 40ft. Friendly neighbors and fun events planned all season! We are adding new amenities every week. On going construction includes a new shelter, bath house, playground, dog-park and walking trails. Surrounded by large areas of water and close to shopping centers, restaurants and theaters, this convenient site is known for great boating and fishing. There are 25 sites with water and electric hook-ups, as well as hot showers, laundry facilities, a picnic shelter and a playground. For water enthusiasts, there is a boat ramp available. This RV park is just ¾ of a mile off U.S. 27 at light #24. It is conveniently located across the street from the Waitsboro Hills Golf Course; restaurants, shopping and Lake Cumberland access are all within a few miles. The park’s amenities include full hookups, electric (20, 30, 50 amp), water, sewer and basic cable TV. Large pull through sites and back-in spots available. This RV park is located one mile from Lee’s Ford Marina on the corner of Marriott and Shoreline and is in a quiet, peaceful setting nestled against a rolling hill. It is a small park with 14 sites available in a low traffic area west of Somerset and near Lake Cumberland. Future plans include the addition of a clubhouse and pool. Little Lick sits on a long ridgetop north of the Cumberland River, west of the Rockcastle River, and offers plenty of opportunities to see the natural beauty of the forest. The camp is operated by the U.S. Forest Service; it is a horse camp with corral and wooded sites. Horseback and hiking trails lead through the Daniel Boone National Forest overlooking Lake Cumberland. East of Somerset. 47 full hookup sites available on Lake Cumberland with a boat ramp. Nestled on 30 rolling acres, large wooded and open sites. Easy access for large RV units. Electric, septic and water. Daily, weekly, monthly and seasonal campers welcome. Cumberland Point boat ramp nearby.